A stabbing incident in Cornubia left three men critically injured on Saturday afternoon. 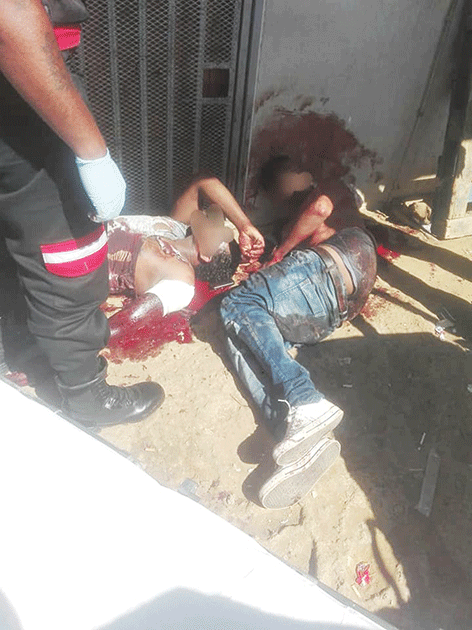 At approximately 2:39pm, the Reaction Unit South Africa (RUSA) Phoenix Operations Centre received multiple calls from residents of a housing complex requesting assistance after three individuals were found bleeding extensively from stab wounds to their heads, hands and bodies outside a tuck shop. 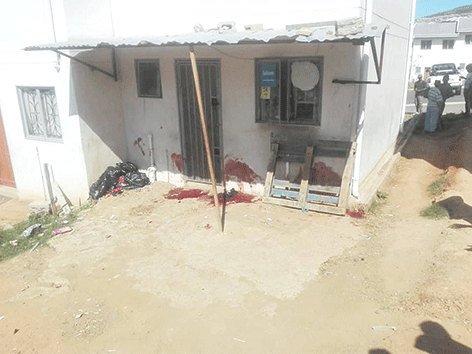 “Upon arrival, medics from RUSA and the Provincial Ambulance Service treated three individuals for multiple stab wounds before transporting them to hospital. Reaction Officers received different versions of events regarding the stabbings. “Initially, Reaction Officers were informed that the three Somalian nationals were business partners who had shares in a tuck shop situated in the area. After an argument regarding ownership of the business, the three produced knives and began stabbing each other. A second report received was that one of the individuals owned the tuck shop and approached one of the men regarding outstanding money owed to the business when an argument broke out between them. The two men then allegedly began stabbing each other when a customer attempted to break up the fight and was also stabbed in the process. A Toyota Hilux bakkie belonging to the alleged business owner was also damaged during the incident,” said RUSA head, Prem Balram. According to Balram, police are investigating both versions.